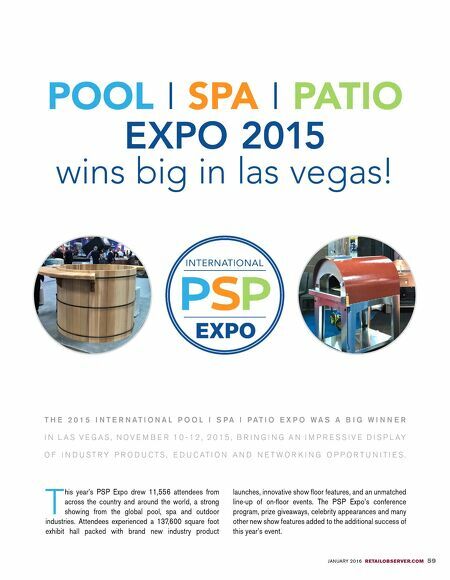 JANUARY 2016 RETAILOBSERVER.COM 59 POOL I SPA I PATIO EXPO 2015 wins big in las vegas! 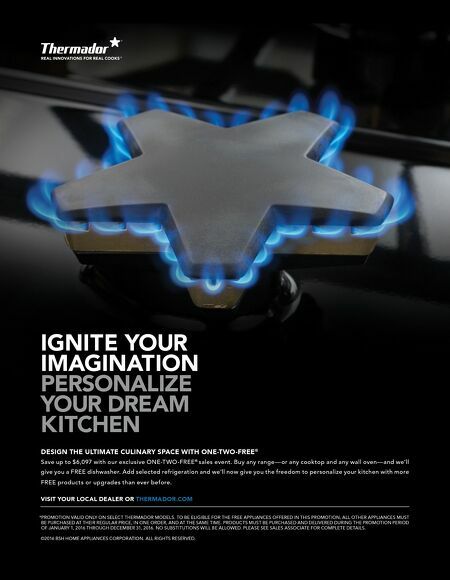 T his year's PSP Expo drew 11,556 attendees from across the country and around the world, a strong showing from the global pool, spa and outdoor industries. Attendees experienced a 137,600 square foot exhibit hall packed with brand new industry product launches, innovative show floor features, and an unmatched line-up of on-floor events. The PSP Expo's conference program, prize giveaways, celebrity appearances and many other new show features added to the additional success of this year's event. T H E 2 0 1 5 I N T E R N A T I O N A L P O O L I S P A I P A T I O E X P O W A S A B I G W I N N E R I N L A S V E G A S , N O V E M B E R 1 0 - 1 2 , 2 0 1 5 , B R I N G I N G A N I M P R E S S I V E D I S P L A Y O F I N D U S T R Y P R O D U C T S , E D U C A T I O N A N D N E T W O R K I N G O P P O R T U N I T I E S .